This week, all the books featured are available for 0.99. And before you ask: You don’t need to create an account at Book View Cafe, the link to the download page is e-mailed to you. Jane Madison has a problem. Or two. Or three. She’s unhappily working as a librarian. She has a crush on her oblivious Imaginary Boyfriend. And she just learned she won’t receive a well-deserved raise; instead, she can live for free in a cottage on the library grounds. 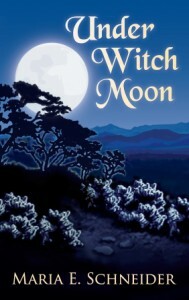 When Jane settles into her new home, she discovers a hidden chamber lined with ancient books about witchcraft. Her first spell awakens a feline familiar. Her second makes her irresistible to men. Those magical workings attract a grouchy magical warder, and Jane’s life is quickly turned upside down! I’ll admit that I have tried several of Mindy Klasky’s novels, and have come to the conclusion that her books isn’t for me. But 0.99 is a good price to give her a try if you haven’t read her before. Buy at Book View Cafe. They don’t belong in Ellen Rosings’s Victorian tearoom. But when her opening day thank-you tea ends in the murder of the president of the Santa Fe Preservation Trust, the police invade her haven. Enter Detective Tony Aragon: attractive and unsympathetic, with a chip on his shoulder that goes beyond the murder investigation, and Ellen’s delicate bone china cup is full. Is the murderer one of her honored guests, or the ghost rumored to haunt the building? Will Ellen solve the mystery, or will the Wisteria Tearoom’s premiere turn out to be its—and Ellen’s—finale? Peter is interested in just three things: dancing, finding a girlfriend, and hiding his raven soul. Peter is a raven warrior, an ancient race known for their assassination and fighting skills. Through secrecy and strict teaching, they’ve learned to cope with the modern world. When Peter meets Tamara, he knows she’s different. Special. He doesn’t learn until too late that she has secrets too. Tamara is a tiger warrior. And her kind are only interested in killing his kind. This book isn’t a Book View Cafe book, but Patrica Rice is part of Book View Cafe 🙂 It should be 0.99 at Amazon. ( I having problem the discounted price showing up for me, since I am in Sweden). Adriel should have known that with a werewolf, it never stopped with just one body. She would have gone to the police after witnessing Dolores’ death, but she wasn’t certain the killer she saw was responsible for the other murders. Besides, the police didn’t believe in werewolves, and they weren’t going to believe she was a witch either so what could she tell them? She kept her eyes and ears open while she tried to help her latest client escape the clutches of a voodoo witch, but things went from bad to worse when more bodies turned up. She was greatly relieved when she met White Feather, an undercover cop. Unfortunately, he wasn’t convinced she was innocent of all wrong-doing. It was going to take every spell she knew and a few she hadn’t tried to solve the murders and stay alive. I loved this book when I read it. It is discounted to 0.99 for the next week at Amazon and BN, and the author’s store.